Home › Home and Kitchen › Place 4X6 Photo Here You Are My Sunshine Dark Wood Finish Jewelry Music Box -.. This is a beautifully designed music box by Cottage Garden Collections thatfeatures a rich walnut wood finish. It plays a high quality Sankyo musicmechanism that can be seen on the inside of the box through protective glass.It plays the tune You Are My Sunshine. 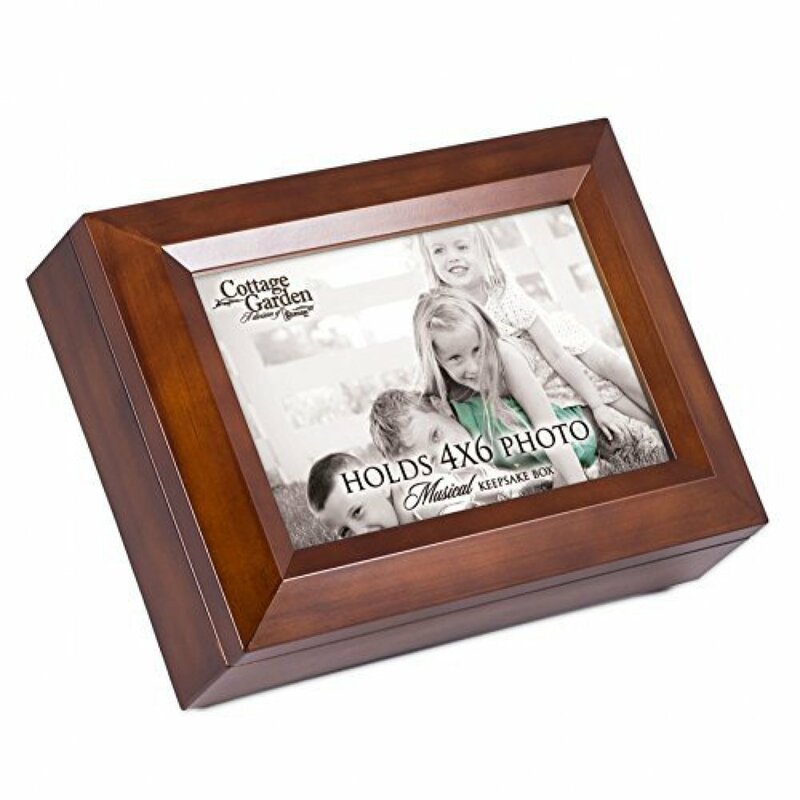 It has a 4x6 photo frame lid so thepicture can be exchange for a personal photo. The feet are cushioned so theydon't scratch surfaces. The box has a 4x4x1.5 inch cavity for storing jewelryand keepsakes. The inside is lined in nice black velvet. The hinges preventthe lid from falling all the way back and getting damaged when opened. Thismakes a beautiful gift for any age.